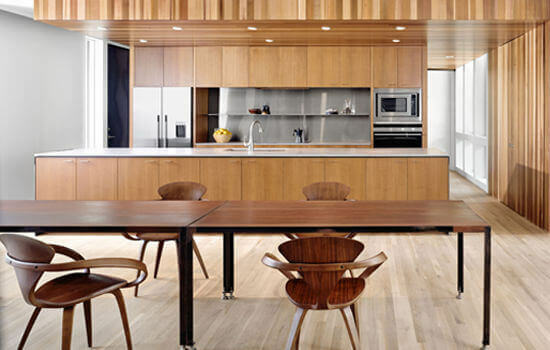 Here are 6 tips to consider when planning your perfect kitchen. 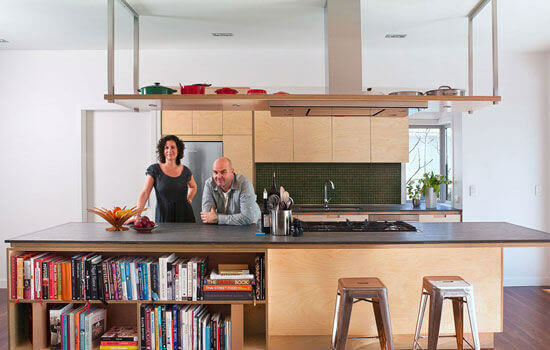 The first thing to do is to think about how you use your kitchen. Different sized homes will require differently laid out kitchens. Those with families may need a breakfast hub, those with pets may require space for pet bowls and beds, single dwellers may choose a slim line dishwasher model, and those with a love of entertaining may want to have dedicated wine storage. Distributed appliances is a simple approach which involves arranging your appliances in locations where you’ll use them the most. For example, you may choose to have a single wok burner closer to the fridge and fresh produce to cook up speedy mid-week dinners and have another 3-4 burner induction cooktop located separately near the oven. Research new appliances so you’re aware of the options available, as this will help you achieve the best result. Creating the perfect kitchen for entertaining involves establishing the right layout and the best materials and appliances. Whether you’re renovating or updating your home, choosing a new bench top will impact on both the look and feel of your kitchen. Let’s look at some of the most popular choices. Laminate is the budget bench top option and is the perfect option for updating a property or holiday home that doesn’t rely on needing the most sophisticated finish. Durable and affordable, laminate comes in hundreds of colours that will match any kitchen interior. Fancy yourself the next MasterChef? 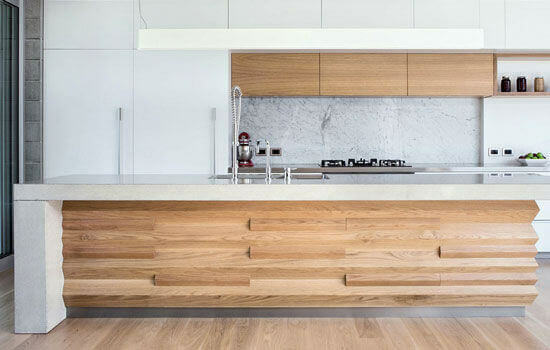 Then how about adding a chef-style stainless steel bench top to your home? As well as being easy to keep clean, stainless steel is great if your kitchen lacks light and can create a lovely textural contrast against dark cupboards or stone flooring.